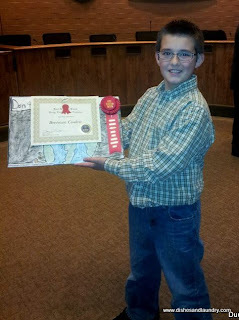 This week we were able to celebrate a special achievement of Brennan's. 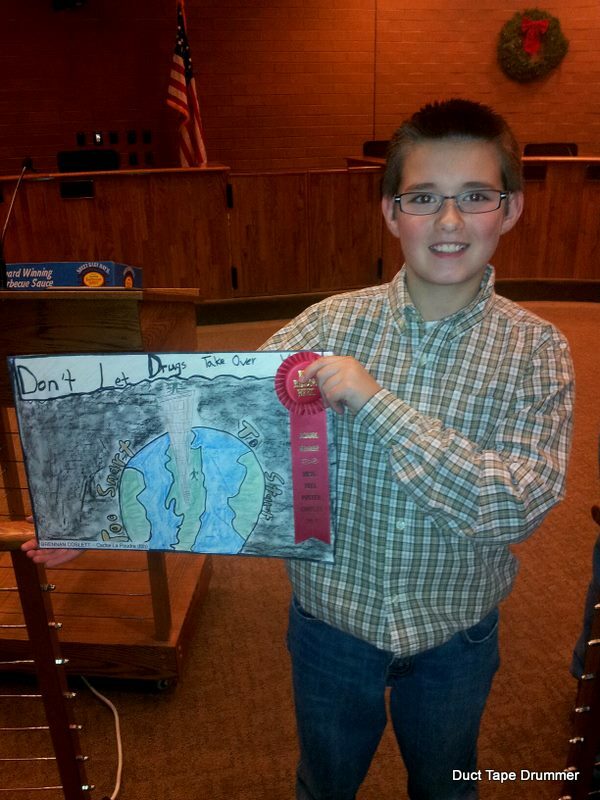 Brennan is a 6th grader and his middle school participated in a county wide poster contest. 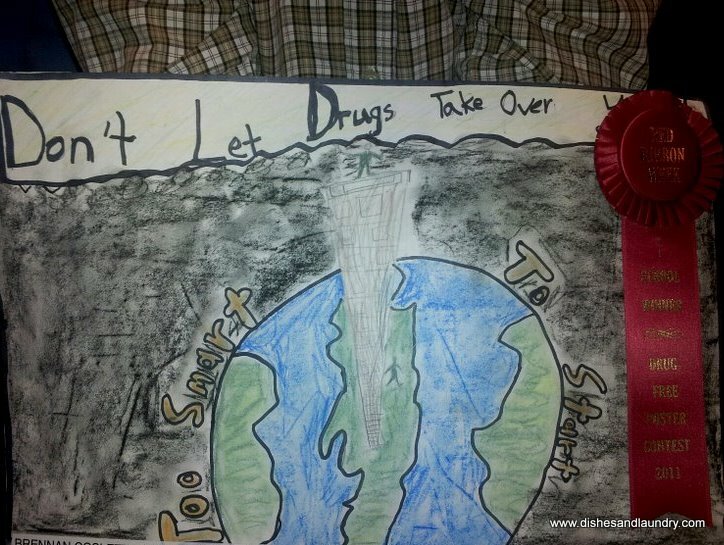 The winners of the poster contest's art work was made into the 2012 Drug Free Calendar that is distributed county wide by the district attorney, law enforcement, and in local schools. 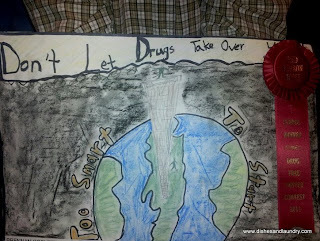 This year's theme was "Too Smart To Start" and Brennan made poster that showed the earth in the middle of black space with a giant tower coming up from the earth, with drug addicts jumping off the tower, throwing their lives away. Very unique design and a great idea! There was a lot of great art work. 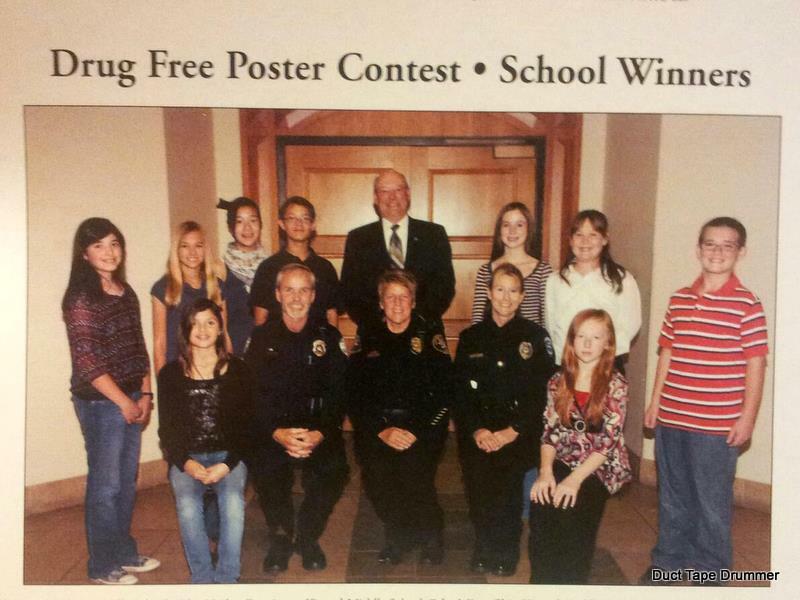 First all the winning posters were displayed in the judicial center during Red Ribbon week in October. The kids were invited to a little celebration where their pictures were taken with the District Attorney and the School Resource Officers. The photos are featured on the back of the calendar. 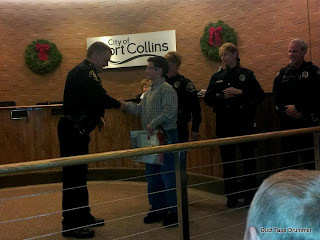 This week the kids were invited back to the City Council Chambers at City Hall for a special awards ceremony with the area Police Chiefs, The District Attorney, and the Mayor. Each child received special recognition and prizes. It was neat to see Brennan's work recognized.